Of special note, "Proof of Guilt" is a dandy murder-in-a-locked-room puzzle; "Multiples" (written with Barry N. Malzberg) is an intriguing literary exercise about a man who can't decide whether to kill his wife or simply write about it; "Rebound" is a solid character piece about a washed-up reporter stalking a once-great basketball player; and "Peekaboo", about the lone tenant in a large, eerie house, has an ending that will make readers jump. This will be a Crossroad Press production. What other book might you compare Graveyard Plots to and why? 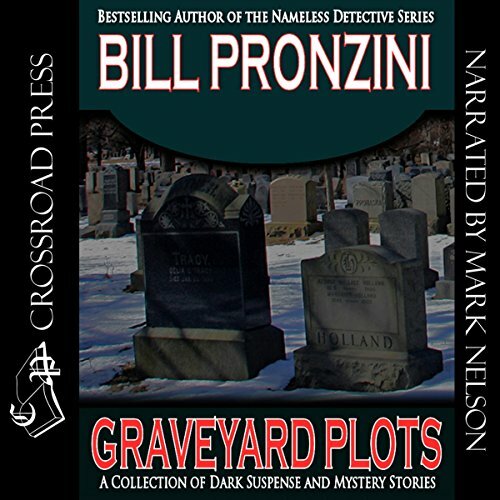 Bill Pronzini is the master of short stories. excellent short stories. Cant get enough of them.